Whether you golf or not, the chances are you know the name Arnold Palmer. Either by growing up in the generation he dominated the golf world as part of the Big 3, by his famous half tea half lemonade drink, his infamous colorful umbrella or by possibly getting treated in the hospital named after him in Orlando, FL. Arnold Palmer has become a household name that we will all miss. In memorial of Arnold, end the year by playing more golf. Enjoy the game and the fun it brings to our lives. 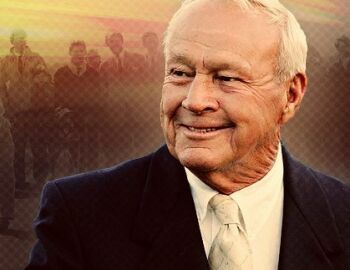 We will celebrate his life by offering FREE Arnold palmer drinks if you mention this BLOG*. RIP Arnold Palmer.